The supper order bot was born from a panic attack due to our lack of ideas. *Also because we order supper and find it troublesome to collate orders in a chat group. We managed to self-learn and apply a new language, and created a working product. 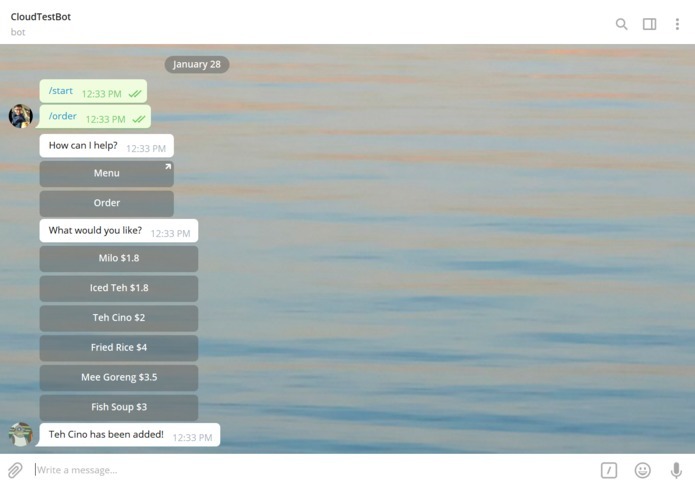 It was my first time attempting to create a Telegram bot. I have learnt about interacting with botfather and telepot.